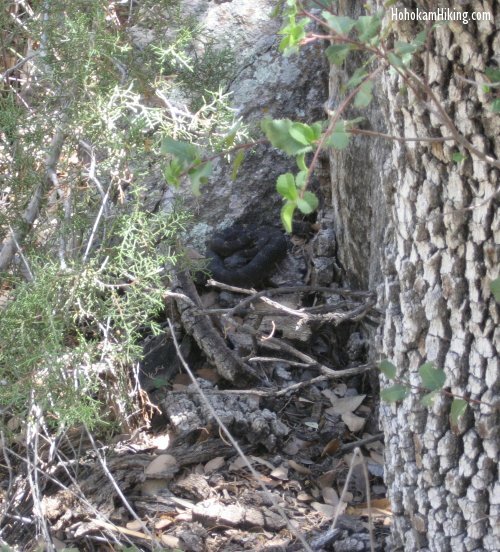 On a trip to the Roger's Canyon Indian Ruins we happened upon a black snake on the edge of the trail. Luckily, my brother, who was hiking in front, spotted the snake before walking by it. It was coiled up and silent. We gathered around to see if we could identify the snake, but I had never seen one like it. Someone in the party noted its triangular head and we all took a step back. Sure enough, the snake began unwinding and headed for the bottom of a nearby rock ledge. When it did so we saw a definite rattle -- we were dealing with a rattlesnake. 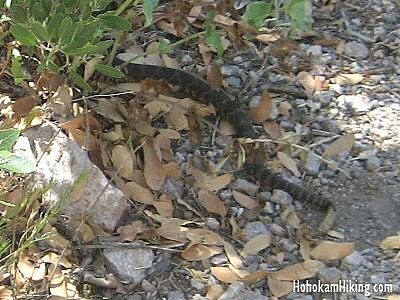 None of us had ever seen a black rattlesnake before -- we usually think of rattlesnakes as tan or brownish. 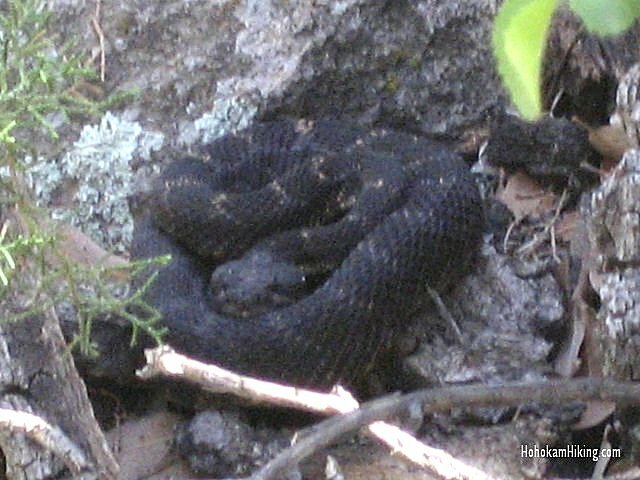 The rattlesnake coiled up near the rock ledge once it was a couple yards from the trail. We took some pictures and when I got home I did my research. It turns out that the Arizona Black Rattlesnake is found only in Arizona and western New Mexico. It is somewhat rare.